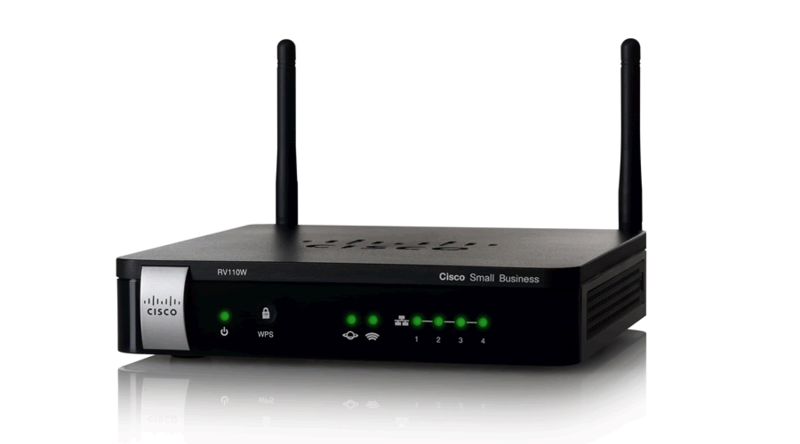 Simple, Secure Connectivity for the Small Office/Home Office The Cisco RV110W Wireless-N VPN Firewall provides simple, affordable, highly secure, business-class connectivity to the Internet for small offices/home offices and remote workers. The Cisco RV110W combines wired and wireless connectivity for small offices and remote workers with a highspeed, 802.11n wireless access point; a 4-port 10/100 Mbps Fast Ethernet switch; an intuitive, browser-based device manager; and support for the Cisco FindIT Network Discovery Utility, all at a very affordable price. Its combination of business-class features, support for virtual networks to enable highly secure guest access, simple installation, and top-quality user experience takes basic connectivity for small businesses with five or fewer employees to a new level.